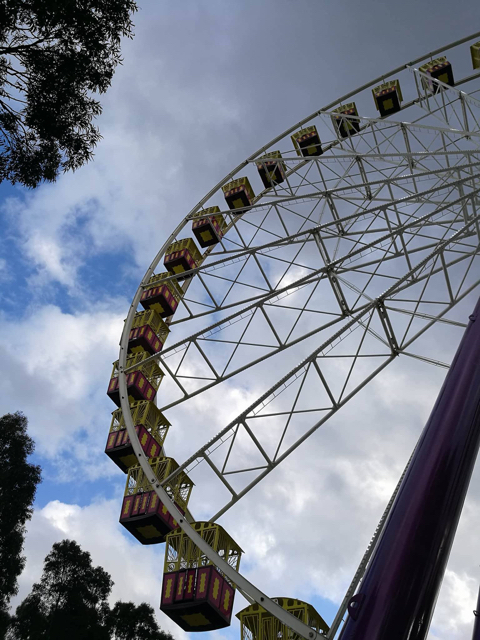 Kel and the Melbourne Minor gang headed to the Royal Melbourne Show for us this year and absolutely loved it! A full day at the show is bags full of fun including the showbags! This year's show is even better so take the kids along for a packed day of activities, demonstrations, rides, food and of course farm animals! Checkout Kel's review before you head there! To follow Kel's adventures, head to their Instagram. An obvious winner with kids. A big shed full of chickens, sheep and little goats to pat, brush and feed. Entry into the hall is free but cups of food are $2 each. Ravi was under the impression that the game was to get as much goat hair on your brush as you could in a reverse pin the tail on the donkey situation but however you approach it, it's good fun. Lines can get long to enter but we found going on a drizzly day at 2pm was very quiet. Can't skip the showbags! Step one is getting your hands on a showbag guide and insisting the children read it cover to cover a bazillion times in the lead up. We said to the kids that we would fork out for one bag each and then it would be time to get out the pocket money so a lot of thought went into their decisions. Mena, 8, chose the Doctor Who bag at $20 and the Discovery Kids Bag at $26 which is my top pick of the showbags this year. Rav, 4, chose the mega firefighter bag at $26 which has a full firefighter outfit with accessories and a remote control firetruck. Safe to say, they choose showbags better than I did as a kid. This place is heaven for people who want tiny amounts of obscure free food to try. So, kids and foodies. I had half of those categories with me so fun was had. There are also some top choices for lunch or dinner in here. Don't skip the efforts of the CWA! While the jars of jam and lemon butter may not captivate the youngsters, my crew were blown away with the elaborate cakes and tea coszies and loved the hands on craft area (free). Pre purchasing tickets is the way to go and if you have ride-lovers add a rides pass. Trains run right to the gate or parking on site will set you back $25. The grounds and exhibition halls are all fully accessible. My favourite showbag is the classic Bertie Beetle but surely you don't need someone to tell you to grab one of those. Just do it!